Every home-cook needs a delicious, protein-packed salad in their arsenal. 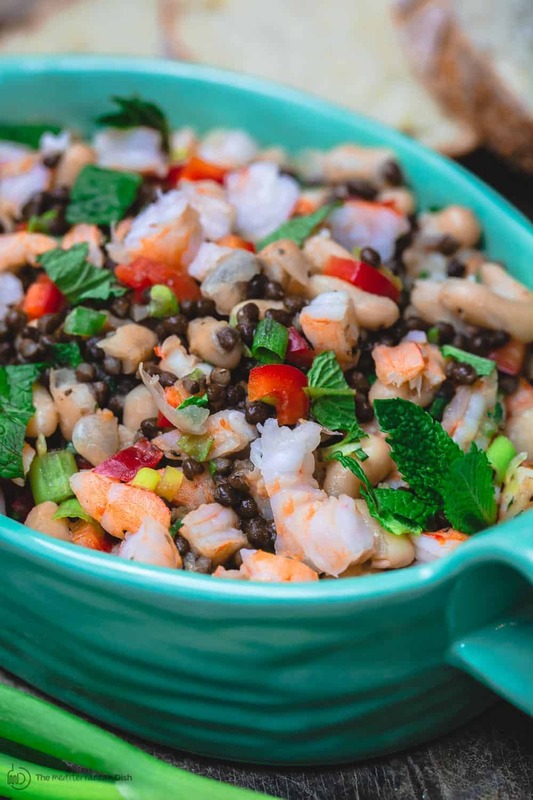 At least for me, something like today’s Tuscan white bean salad with shrimp and lentils can easily make lunch for the next couple of days, or a little light dinner on those busy nights! 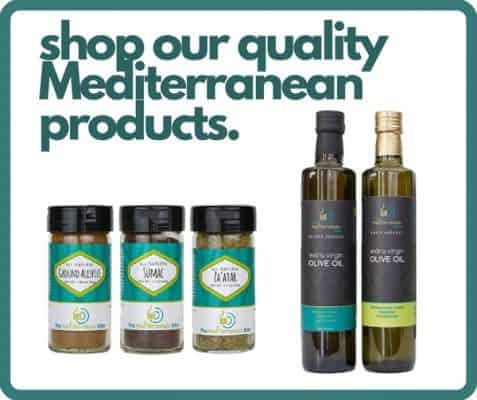 Crunchy vegetables, fresh herbs, garlic, and a light drizzle of extra virgin olive oil take it a new level of delicious. You will love every bit! 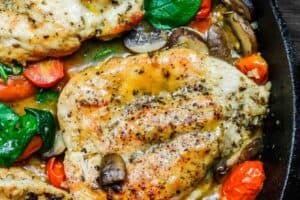 (Be sure to check out all the notes and tips). This post is brought to you in partnership with USA Pulses and Plus Canada. Why this Tuscan white bean salad works? The idea to combine seafood and beans comes from Italy, and particularly the sunny region of Tuscany. What a brilliant way to transform some humble pantry items into a beautiful meal! 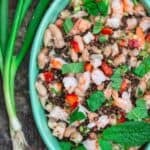 In this Tuscan white bean salad recipe, I chose cooked shrimp with creamy cannellini beans and lentils. Both beans and lentils are pulses (legumes) used often in Mediterranean cooking. They are truly health powerhouses, packing tons of nutrients including fiber, protein, folate, potassium and iron. 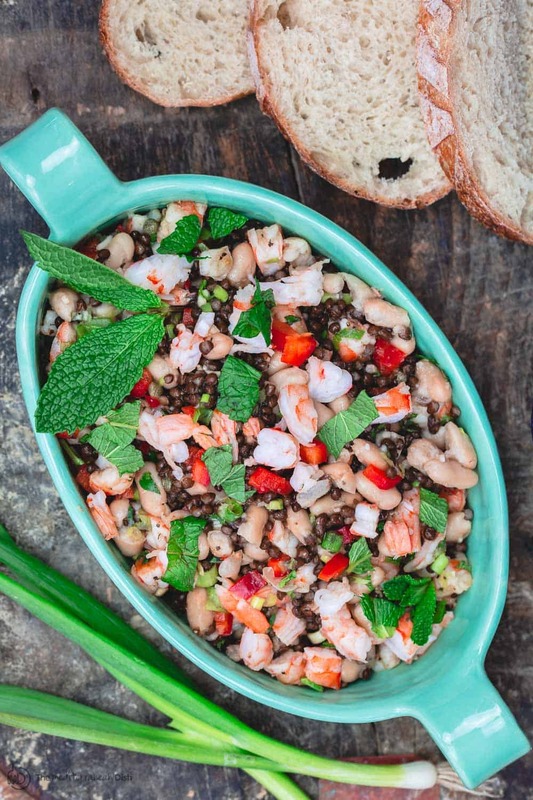 You may be convinced to try this bean salad solely because it is healthy; and your body will totally thank you for that. But you are so in for a treat! 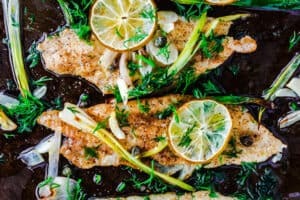 A few more ingredients bring in brightness, texture, and layers of flavor—crunchy red peppers; scallions; garlic; fresh mint; capers; and a couple of favorite spices. 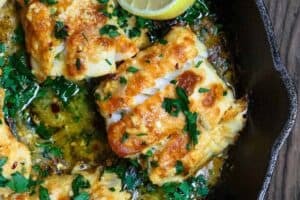 The dressing is as simple as a drizzle of white wine vinegar and a drizzle of excellent EVOO. 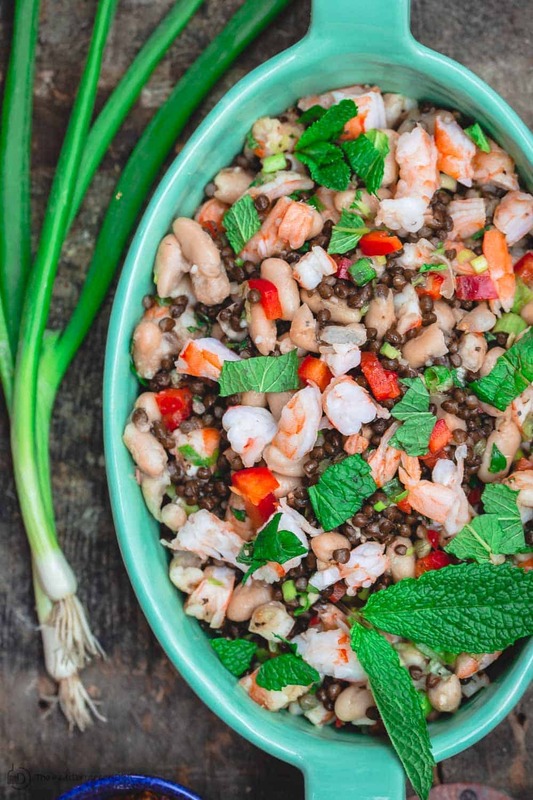 To make it, all you have to do is combine the beans, lentils and shrimp with the rest of the ingredients and give everything a good toss. That’s it! Add your favorite crusty whole wheat bread or crostini to serve. Tip: I like to let this bean salad sit for a few minutes at room temperature to allow the flavors a chance to meld. 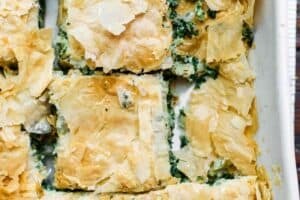 Can I make this from scratch using dry beans and lentils? How to cook beans. Beans will require soaking overnight (about 8 hours) in plenty of water. Rinse them well after soaking. Whatever amount of beans you start with, you’ll need 2 times the amount of water to cook them. For this bean salad recipe, you can start with 1/2 cup (100 g) of beans and add 1 cup (250 ml) of water. Simmer on low for about 45 minutes to 1 hour until beans are tender. Drain and let cool. How to cook lentils. This salad works with black lentils, brown lentils or French green lentils. If you are cooking lentils from scratch, you can start with about 1/2 cup dry lentils for this recipe. Rinse lentils well and combine with 1 1/4 cup of water, then simmer for 20 minutes or so until tender. Drain and let cool. 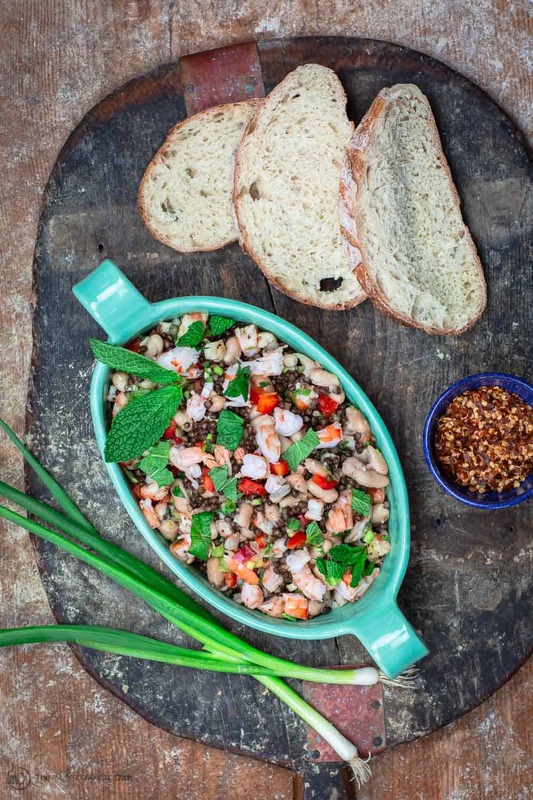 Can I prepare this white bean salad in advance? When preparing this salad the evening before, I prefer to keep the shrimp out but mix the rest of the ingredients together. Refrigerate in a tight-lid glass container, and refrigerate cooked shrimp separately. Mix the shrimp in a few minutes before serving. Have you heard of the 1/2 Cup Habit? By the way, February 10 is World Pulses Day. If you make this recipe, or another delicious pulses recipe, be sure to share it on social media using the hashtag #worldpulsesday in February. Love to see what you’re cookin! Easy quick and spot on for taste. I am adding this to my monthly repeat list. I’ve only recently started getting into bean based salads. What I like is that I find that it doesn’t take a lot for me to feel satisfied which is great. This one has the added bonus of shrimp which I could eat forever and never have too much. Looking forward to adding this salad to my rotation! 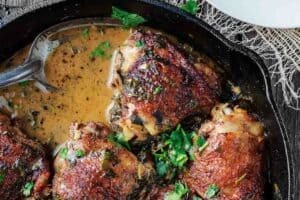 This looks so good, and I love the cumin and paprika in it! Such good flavors! Love` this – so pretty to look at and really yummy . Where did you get that beautiful dish? I love the mix of flavors and textures in this salad! It just gets better as it sits! Love all your tips. This turned out fantastic!! What a great salad! Flavorful and filling for sure. Thank you, Christina! I can’t wait for you to try it! LOVE that this features both lentils and white beans! I always have both on hand and this salad is just so fresh and pretty! Awesome, Jenn! I love to keep both on hand as well!